SALEM, Ore.—It’s free to fish, crab or clam in Oregon on Saturday, Sept. 1 and Sunday, Sept. 2. “Get out and enjoy the last weekend of summer and do some fishing with family and friends,” said Mike Gauvin, ODFW recreational fisheries manager. 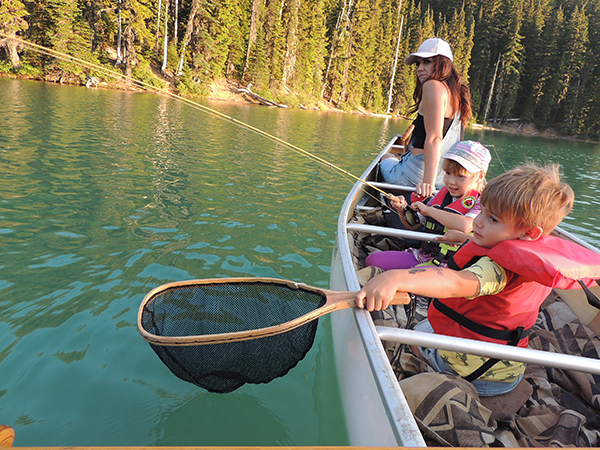 Look for the best fishing opportunities in ODFW’s Weekly Recreation Report, which is updated every Wednesday. Some good bets for new anglers this time of year are warmwater fishing and trout. Several waterbodies will be stocked with trout in time for the holiday weekend, see the Trout Stocking Schedule or Recreation Report for details. Oregon will have one final weekend of free fishing on Nov. 23-24, 2018, the Friday and Saturday after Thanksgiving.